The Confucius Institute at UWA helps bring Chinese language and culture to Western Australian students through hands-on partnerships with schools across the state. Whether your school is looking for hour-long Kong Fu or calligraphy workshops, or year-long teaching support, we are the people to ask. Our services to schools do not stop at the classroom. 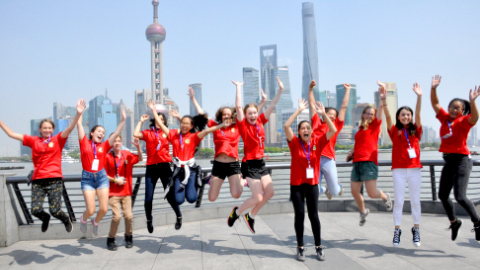 We organise study tours to China for students and principals, language proficiency testing, the Chinese Bridge (Hanyu Qiao) competition and school excursions and incursions tailored to your needs. Please contact us if you would like more information on any of the services below. More than 40 Western Australian schools now benefit from Australia’s largest Chinese language support program. The program, which includes both private and public schools, extends as far afield as Albany, Bunbury, Geraldton and Kalgoorlie. In each school, a volunteer native speaker from the Confucius Institute assists the school’s own Chinese teachers to deliver their Chinese language program. Most volunteers work with just one or two schools and usually stay for periods of up to one year. Partner schools will be required to sign Agreements with the University outlining the roles and obligations of all parties. To apply for Chinese language program support, schools are asked to complete an online application form. Registration for 2019 is now closed. Selected schools also receive additional support through the Confucius Classroom program. The Confucius Institute at UWA is currently exploring ways to bring our services to remote schools through online delivery. We are keen to hear from schools who may wish to participate in this exciting initiative. 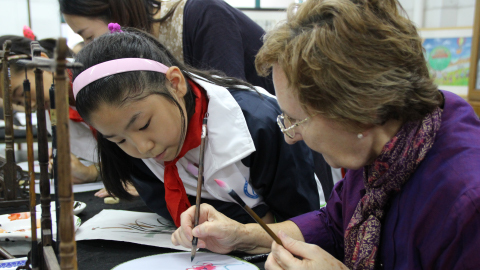 For schools seeking to provide their students with a short taste of Chinese culture we offer workshops in a variety of child-focussed activities such as calligraphy, Gong Fu, Tai ji and traditional Chinese crafts. These can be delivered through an excursion to our Claremont campus or we can come to you – school incursions are increasingly popular. Please apply online or contact us for details. The annual China Experience is a 10-day study tour designed to give Chinese language students aged 14-17 a first-hand taste of China. The WA School Leaders Study Tour, usually held for a week in September, is a professional development opportunity for WA school principals and leaders of language programs. The Chinese Bridge (Hanyu Qiao) Chinese Proficiency Competition, usually held in May and June, encourages secondary and university students to improve their Chinese by taking part in an annual worldwide Chinese speaking and performance competition. The Chinese Youth Test (YCT), usually held in August and November, encourages primary and secondary students to improve their Chinese language skills by taking part in an internationally recognized language proficiency test. At UWACI, we encourage your school to join our State-wide program and connect with us!